There are a lot of good time trackers on the market. So why make another one? Because all the other trackers charge per user and cost a fortune. When you have a team of 50 people, you have to pay more than $500 each month just so everyone can input their work hours. That’s insane. We couldn’t believe that something that basic could cost that much. So we created Clockify. 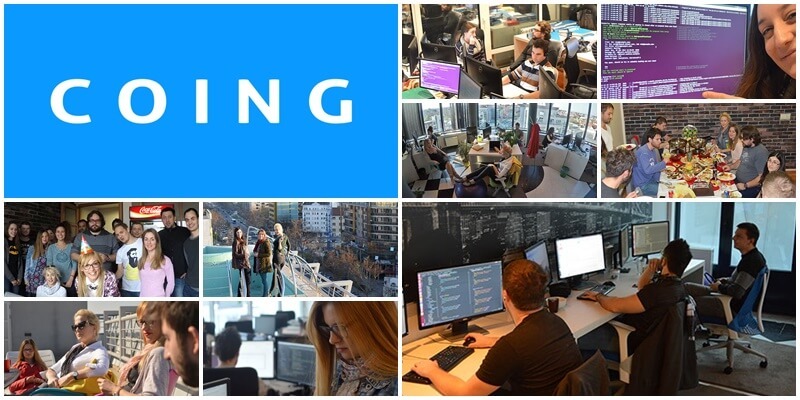 Our company, COING Inc, is a development shop. We make software for clients and charge based on how much we work. So naturally, we need time tracking software. In the beginning, we used Toggl in combination with Trello, as it was the most straightforward combination. When someone starts working on a task, they move the Trello card to In-Progress, copy the ID of the card, paste the ID into Toggl, and start tracking time. Some people used the timer while others filled out their timesheets at the end of the day. The method didn’t matter, as long as people accounted their daily hours and we knew how much to bill our clients. 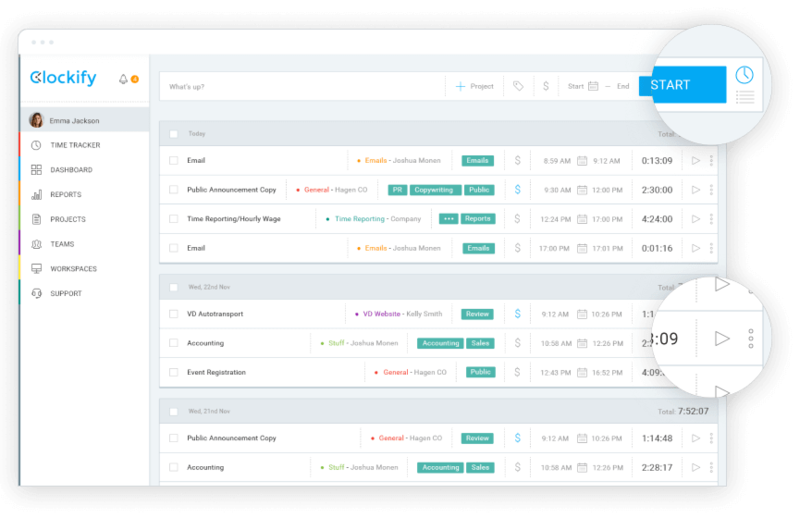 You can read more about how we use Clockify to track time and bill clients here. This setup worked wonderfully for years – until Toggl raised prices. We used to pay around $500/month for Toggl (50 employees x $10/user). The price was rich even at that point, but it was the simplest tool available so we paid without complaining too much. But then Toggl raised the price for our plan to $20/user. When we were faced with paying $1,000/month, we started looking for a Toggl alternative. We tried several other time trackers, but they were way too complicated. Still, complexity wasn’t the biggest deal. After all, you can get used to software after a while. The biggest problem with all the time trackers was the price: almost all time trackers charge around $10 per user. Most trackers had a free plan but only if you’re a solo user or if you have less than 5 members. Then the price would sharply rise. On top of the price, almost all time trackers were way too complicated and/or invasive. So we decided to created our own time tracker. We did some math and calculated that, instead of paying Toggl, we can create our own time tracker in a couple of months and recoup our investment within a year (we are a software development shop so our development costs are way lower than usual). To cut development time, we used Toggl as a role model. We started working in February 2017 and finished everything in a couple of months. In March, we started using Clockify ourselves. It had quite a lot of bugs, so we had to spend several more months fixing them. Still, it was usable so we canceled our Toggl subscription and started using Clockify. Because we constantly had to work on client projects, we couldn’t have a dedicated developer just for Clockify. Instead, people would work on Clockify whenever they found some spare time, between client projects. But that was ok, as we had a working app that did 99% of the work we needed from it. We were proud of Clockify. We are proud of client projects too, but it’s not the same. Once you finish client project, they own it and you move on and forget about the project. But here was something we created ourselves, that we owned 100%, and that was actually useful. How can you not be proud and share it with the world? So we decided to share Clockify and let other teams like ours use it for free. After all, there wasn’t anything on the market that bigger teams could use without paying hundreds of dollars and we wanted to fix that. Plus, we could always show Clockify to our clients and say, “See, we made this. You can trust us. We know how to develop software” (an app with thousands of users can really boost your credibility with potential clients). We rented a few servers on AWS, set up Clockify as a cloud-based app, and launched on Product Hunt in August. In just the first few hours, 17,000 people registered, and the comments were very positive. We were beyond excited. Next thing we knew, we wanted to keep working on Clockify and create something truly great. Clockify was not the first product we created, but it’s the first one that was met with such a good reception. Positive feedback has a strange effect: it makes you start dreaming about things. Once we noticed how many people need it, we set aside a few people to work on improving Clockify full time, while keeping it 100% free forever. To make things sustainable (and make some money), we decided to introduce the option to offer self-hosted time tracking, as well as extra features that further extend functionality. Self-hosting was perfect because it would let us keep Clockify free while giving people who need more an option, for a fee. And because we’re a dev shop, we also offer custom development on top of Clockify if someone needs it. We’re quite excited for the future. Clockify has more and more users each day, we are busy preparing new features (check out our feature roadmap), and there’s a quite a demand, so the future looks bright for our little time tracker.